While healthcare has been behind in applying human-centered design (HCD) principles to enhance service, the use of human-machine systems integration techniques in concert with HCD principles is even rarer. 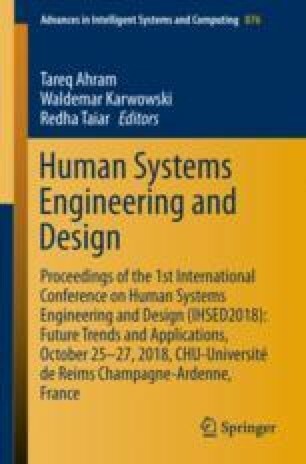 This paper describes the value any organization or team can derive at the confluence of these two techniques, especially in an era of Artificial and Augmented Intelligence (AI) and Machine Learning (ML), and outlines the unique model used by Thomas Jefferson University and Jefferson Health’s DICE (Digital Innovation & Consumer Experience) Group, that applies HCD thinking and human-machine integration to solve critical healthcare problems that need solving for the industry to evolve into one that is more focused on the patient and the patient experience and one that also leverages modern digital technologies such as AI, ML and the Internet of Things (IoT). We would like to acknowledge all of our patients who inspire us to develop digital and process solutions that improve lives; every member of our DICE Group who inspire us with their resolve; and our leadership, clinical and administrative staff, and board who actively support us in our endeavor to save lives and change the world.